Un film di David Lynch. Con Bill Pullman, Patricia Arquette, Balthazar Getty, Robert Blake, Robert Loggia. 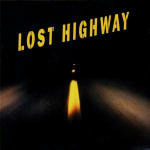 Titolo originale Lost Highway. Thriller, durata 134 min. - USA 1996. Un film di John Gulager. Con Katrina Bowden, Christopher Lloyd, Chris Zylka, Danielle Panabaker, Ving Rhames. 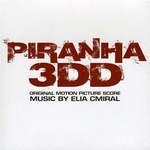 Titolo originale Piranha 3DD. Horror, - USA 2012.